One goal I set out to do with Latino Branding Power was not only to report on culturally relevant insights nationally, but also locally from a West Michigan perspective. Although Michigan doesn’t boast a Latino population as large as other states like those in the Southwest, here in our corner of the U.S., we are eagerly awaiting the results of the 2010 Census. A recent article in the Grand Rapids Press attempts to take a look forward to the upcoming results and compares local stats from the previous 2000 Census to recent numbers from the bureau’s 2005-09 American Community Survey. 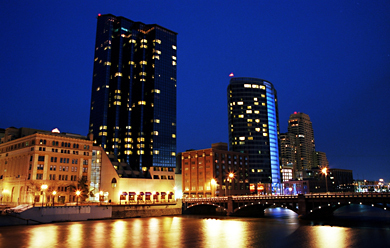 Despite an overall decrease in Michigan’s population, the numbers indicate dramatic Hispanic population growth is expected within the state as a whole, West Michigan, Kent County, and the city of Grand Rapids. 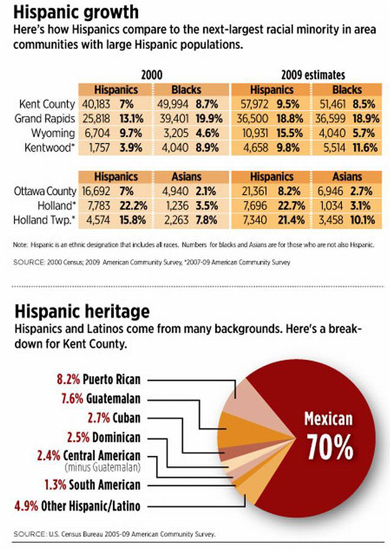 In Kent County, the Hispanic population grew from just under 40,000 in 2000 to almost 58,000 in 2009. This is nearly 1 in 10 county residents. We will be awaiting the details 2010 Census results to be released by April 1. Of the state population statistics released so far, many have indicated larger Hispanics counts than predicted earlier. Please visit Latino Branding Power again soon for more about the 2010 Census and what it will mean for Michigan.